We fully embrace the highway design philosophies set out in the Manual for Streets (1 and 2) together with the Design Manual for Roads and Bridges depending on the nature of the road and its particular environment. This page highlights any procedures, specifications and other details that we require in addition to those covered by these publications. Unless otherwise stated, all highway works shall be in accordance with our highway specification document, as amended. Some of the details included in our specification contain additions and/or amendments to the Department for Transport’s Specification for Highway Works. Where such details depart from the Specification for Highway Work, our additions and/or amendments shall apply. Technical engineering submissions must be in accordance with approved planning consent, conditions and drawings. Works undertaken prior to their being approved by the Proper Officer are at the developer’s risk. The drawings and calculations listed below shall be submitted to, and approved in writing by, the Proper Officer. One hard copy of all drawings/design documents and a disk with the same in PDF format is required. These drawings are in addition to the adoption plans which we will require for the legal agreement. Full technical approval cannot be given until the legal agreement is in place. The drawings and calculations we require are listed in the Technical Approval Checklist, which can be downloaded from the list on the right of this page. The developer may wish to consider our street lighting and electrical design team. Where the developer chooses to use an IDNO for the electricity supply to the development, a service level agreement (SLA) shall be entered into by the IDNO and the council to ensure the supply to the street lighting columns, traffic signs, traffic signals, feeder pillars, etc. In the specification we have set out materials suitable for use on appropriate roads in the area. This specification is not intended to exclude alternative options or to prevent innovative development. Alternatives and other departures must be agreed in writing by the Proper Officer and the justification for such a departure must be documented. The developer must design a highway that is appropriate for both the new development and the existing environment. The objective of a RSA is to identify any aspects of a highway improvement scheme that give rise to road safety concerns and to suggest modifications that would improve the resultant scheme by minimizing risk. 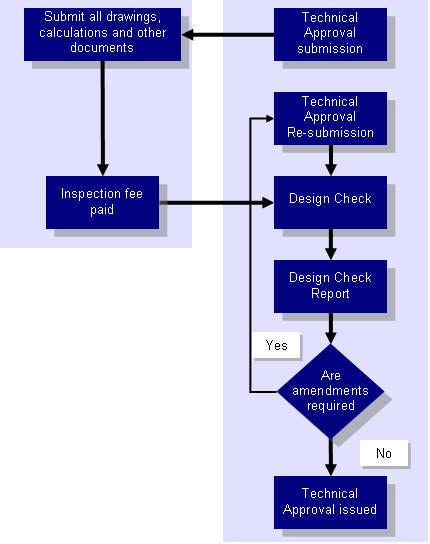 Copies of Stage 1 (which is undertaken prior to planning approval) and Stage 2 (following detailed design) RSAs should be provided along with copies of the designer’s response for each stage. A Stage 3 RSA will be required prior to adoption. A Stage 4 RSA will only be required where there is a specific concern following the completion of the development. Once we have issued technical approval the works may then proceed. If you have any questions about applying for either for the adoption of new highway or the modification of existing highway please contact the Development Implementation team. Completed applications can also be sent via this address but please be advised that we cannot begin work on your project until we are in receipt of the £1,000 initial fee.